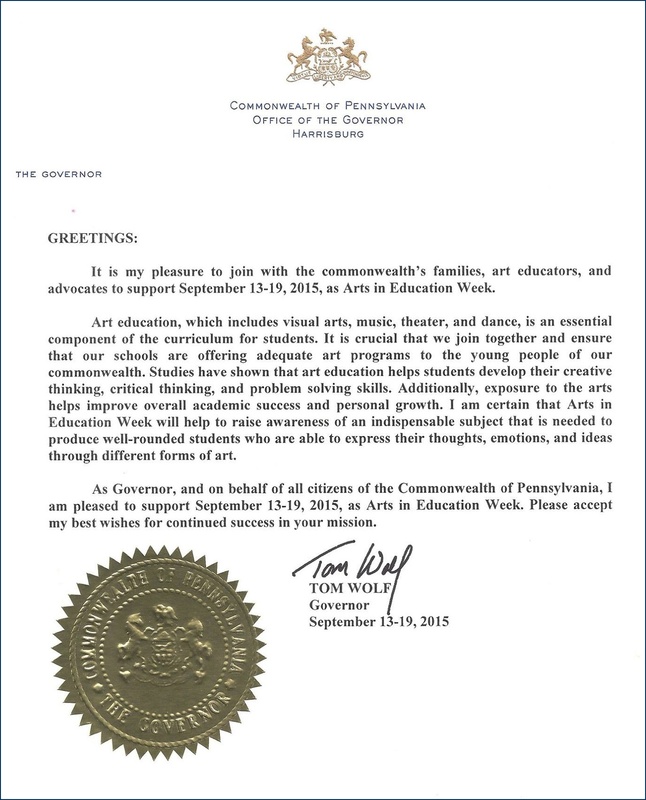 Pennsylvania Governor Tom Wolf proclaimed this week, September 13-19, 2015, as Arts in Education Week in Pennsylvania. The Pennsylvania Arts Education Network reports recent cuts in funding for education in the arts, whcih makes this proclamation timely. Governor Wolf’s proclamation expresses the certainty that: “Arts in Education Week will help raise awareness of an indispensable subject that is needed to produce well-rounded students who are able to express their thoughts, emotions and ideas through different forms of art." How can you celebrate Arts in Education Week? Learn about and come visit PCA&D’s The Mosaic Project exhibition, our annual multicultural exhibition and educational program for students and families in Lancaster County. This year’s Mosiac Project features Robert Pruitt’s narrative portrait drawings exploring the complexity of black identity and Shadra Strickland’s painted illustrations that invite children and adults alike to ponder questions of contemporary and historical significance. Sign a child up for a class from PCA&D’s Continuing Education Department – or take one yourself. With art classes for kids, teens, and adults being small in size and big on substance, students are enriching their lives with creativity and developing practical skills. According to the National Education Arts Association, which sponsors the National Arts in Education Week, also September 13 - 19, the arts are an essential part of a complete education, no matter if it happens in the home, school, or community. Students of all ages – from kindergarten to college to creative aging programs – benefit from artistic learning, innovative thinking, and creativity. Celebrating National Arts in Education Week helps recognize the arts as important to a well-rounded education. Designated by Congress in 2010, through House Resolution 275, the celebration is designated to bring attention of this cause to elected officials and educational decision makers across the country and to support equitable access to the arts for all students.